Some educational and administrative facilities are located off campus for practical and operational reasons. 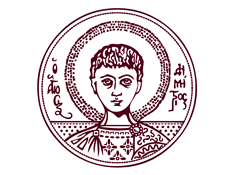 A number of these facilities are located outside the city of Thessaloniki or even in other cities. Cesefor foundation is a non-profit private organization contributing to the integral development of the forestry sector through research, innovation and promoting sustainability in all production areas, giving priority to the conservation of natural resources. Its end users within this project are the Regional Government of Castilla y León (final user to develop and exploit the rural roads network), the regional Civil Protection Agency of Castilla y León and the Spanish Rural Police (Seprona). 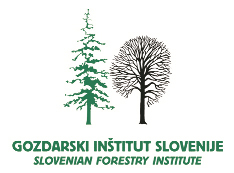 The Slovenian Forestry Institute is a public institution of national importance, competent for research in the fields of forest, forest environment, forestry, wildlife and game management. It was founded by the Government of the Republic of Slovenia and it operates under the auspices of the Ministries of Higer Education, Science and Technology, Agriculture, Forestry and Food and the Ministry of the Environment and Spatial Planning. Having been committed to the Forest Act (1993), National Forest Development Programme (1996) and the main international documents addressing forests such as the Statement of Principies on Forests, Convention on Biological Diversity, Convention on Climate Change, resolutions and decisions within the framework of the Ministerial Conference on the Protection of Forests in Europe (MCPFE: Strasbourg 1990, Helsinki 1993, Lisbon 1998, Vienna 2003), Convention on the Protection of the Alps (Alpine Convention 1991) and EU Forestry Strategy (1998), it strictly follows the concept of the close-to-nature, sustainable and multifuncional forestry. 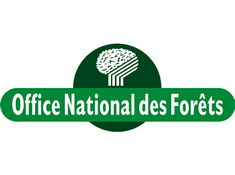 The French National Forestry Office (ONF) manages nearly 5 million hectares of public forests belonging to the French State or to local authorities and plays a major role in regional sustainable development. The ONF works for the protection of many different environments, from coast lines, dunes and marshes, to peat bogs, mountains, glaciers and grasslands. Fire is also an ever-present danger to forest. Therefore, the ONF designs and implements protection systems: risk prevention plans, trails, firebreaks, clearing of undergrowth, water supply points, etc. Also, the ONF conducts continual fire watches during high risk periods and informs the public on the danger of forests fires.